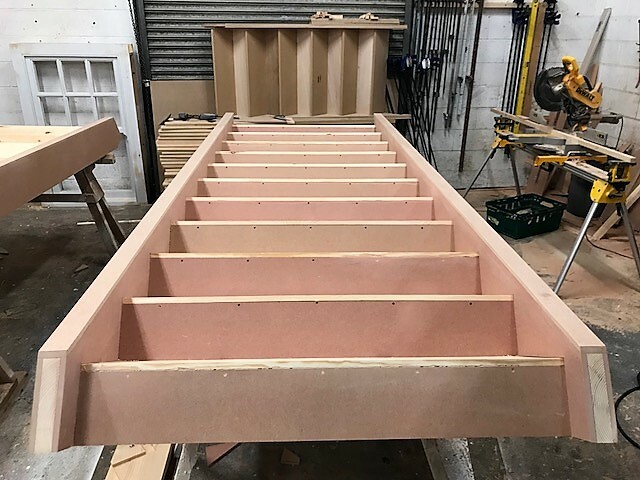 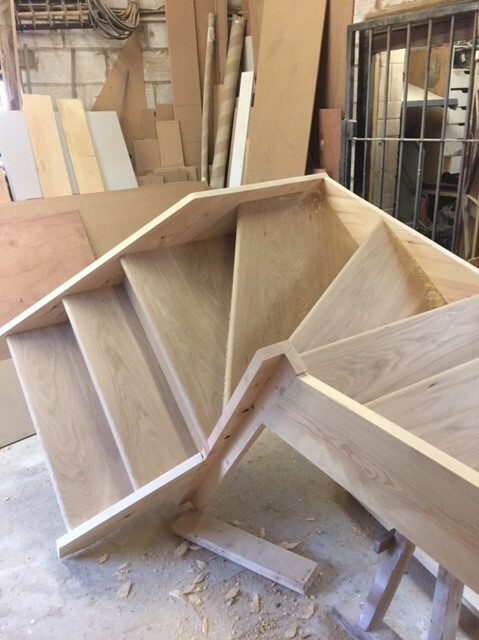 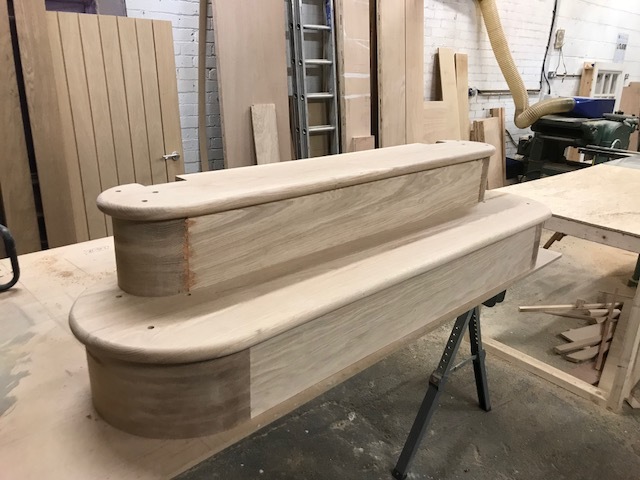 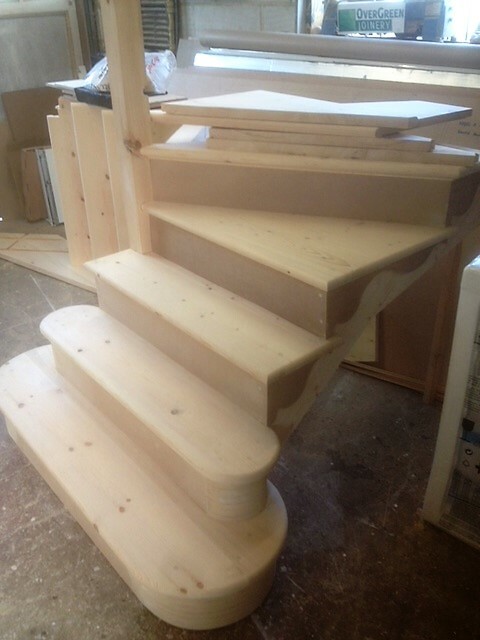 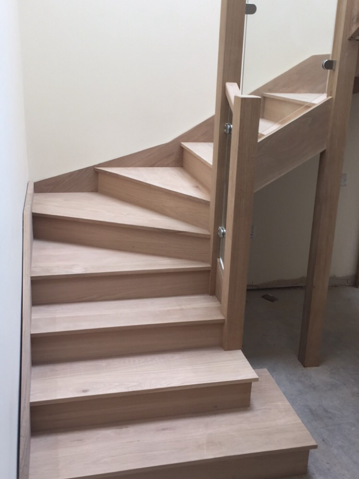 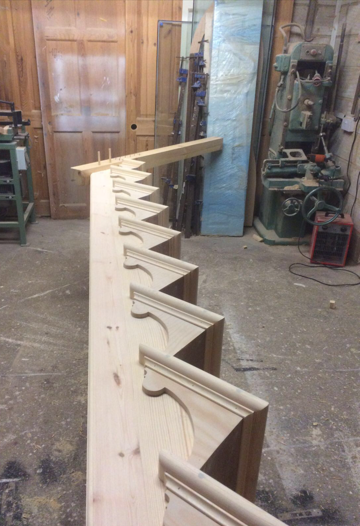 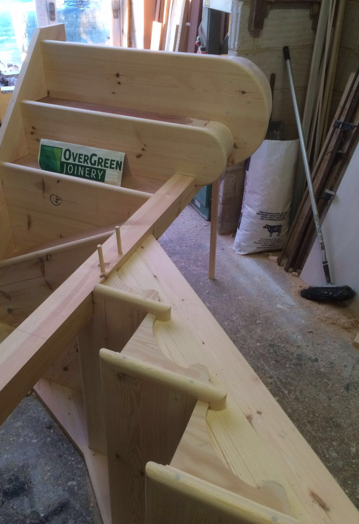 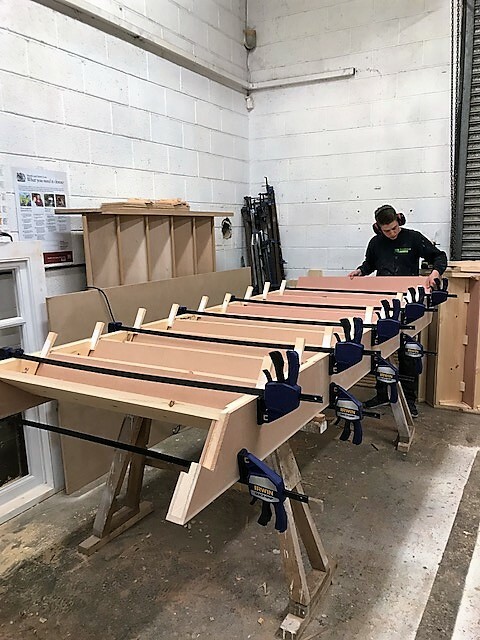 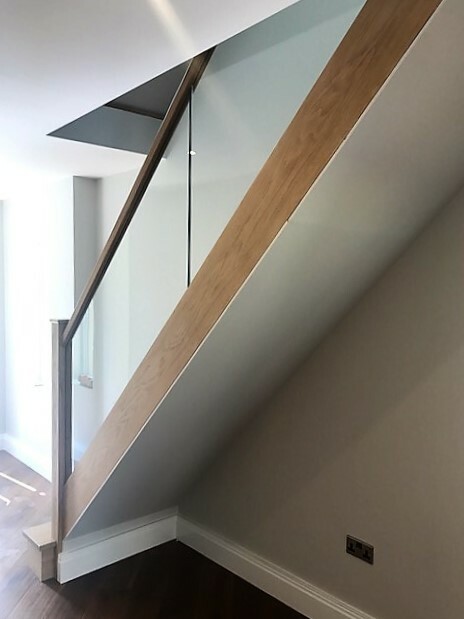 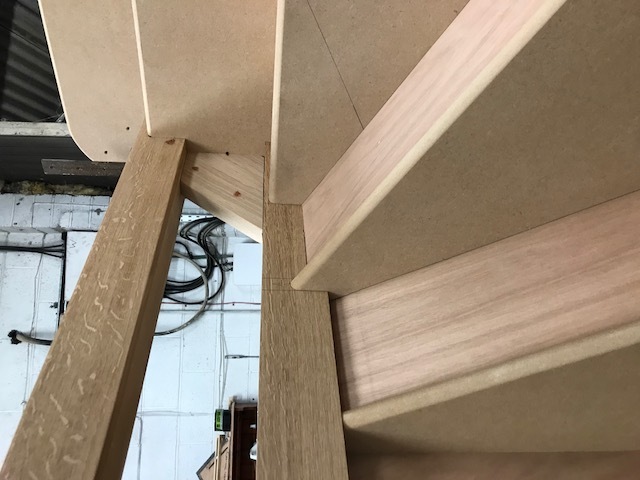 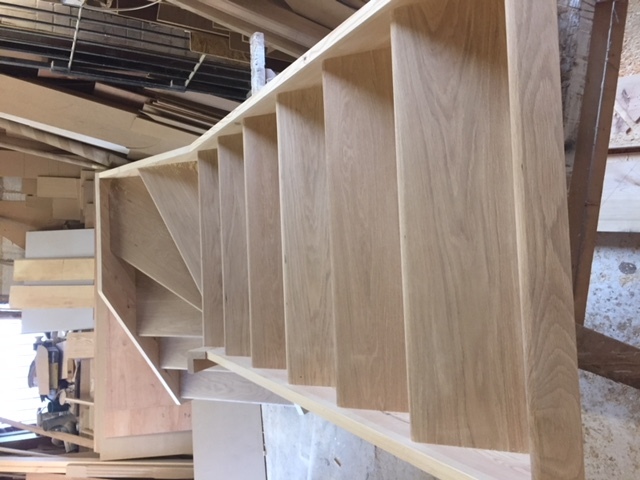 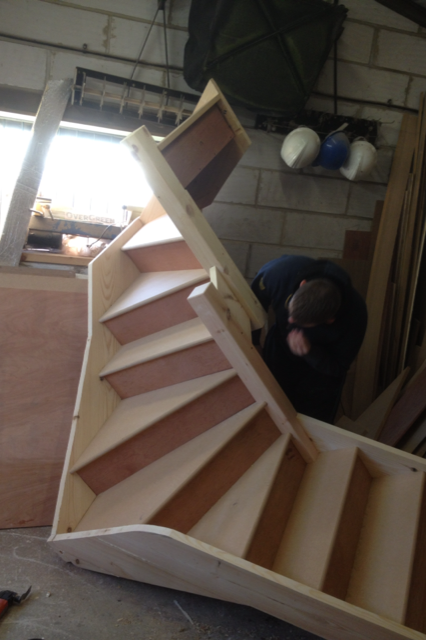 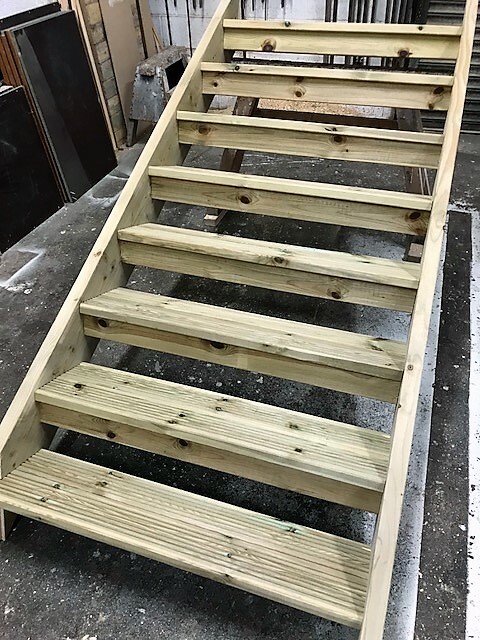 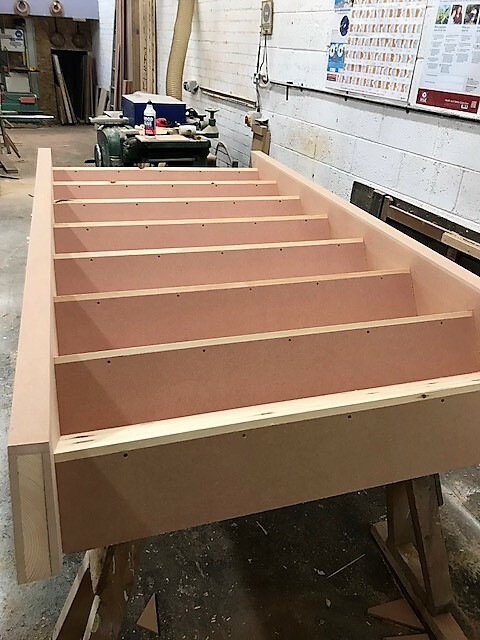 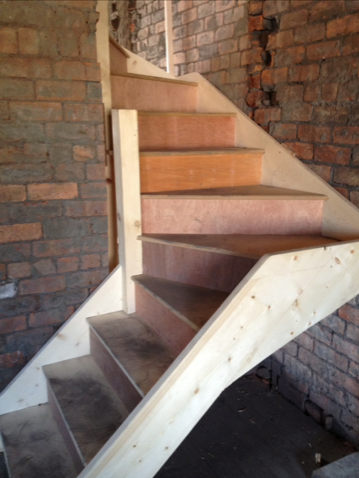 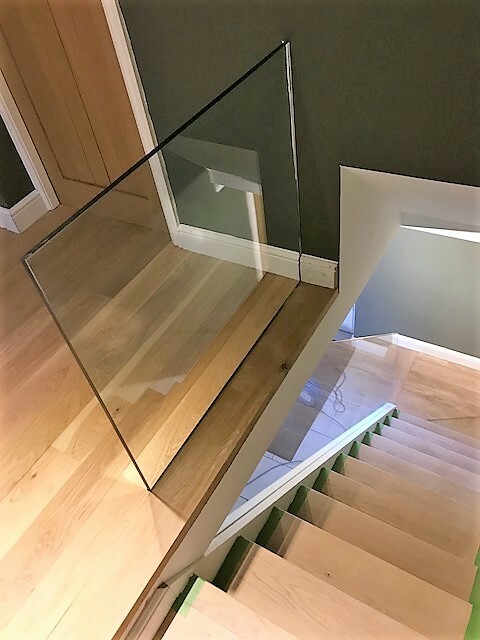 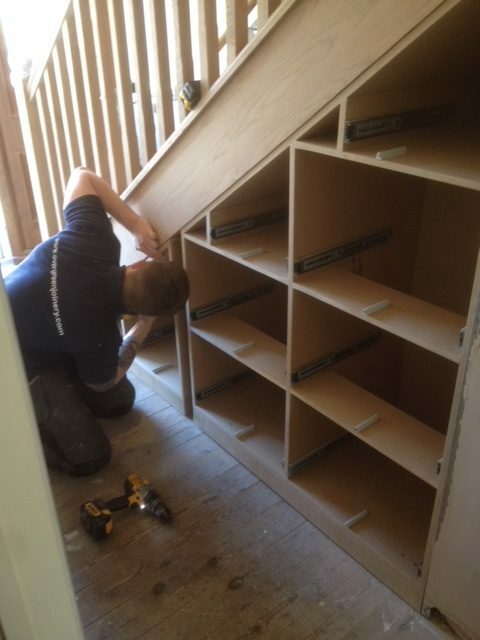 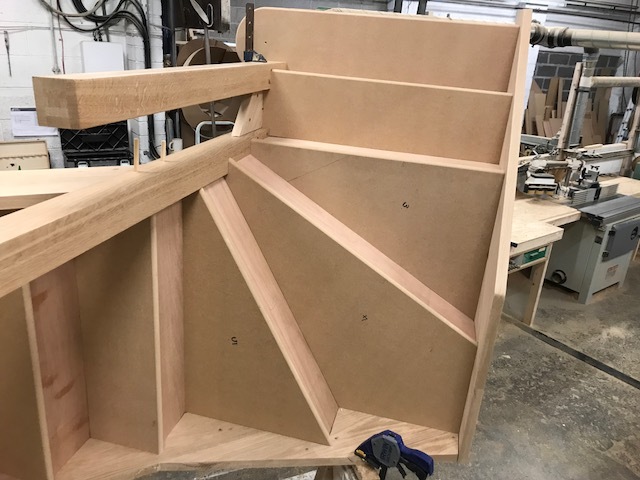 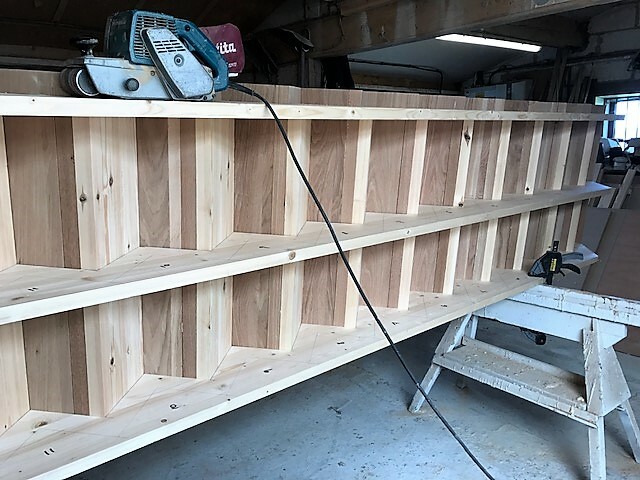 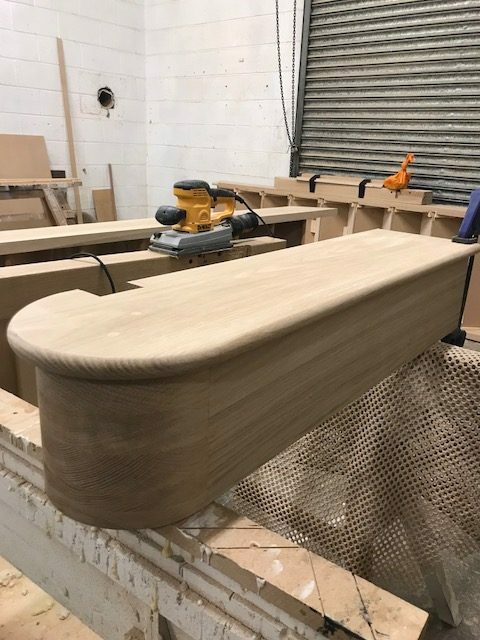 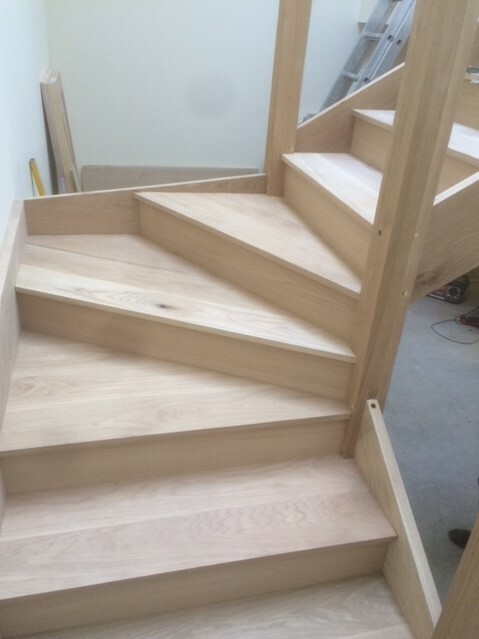 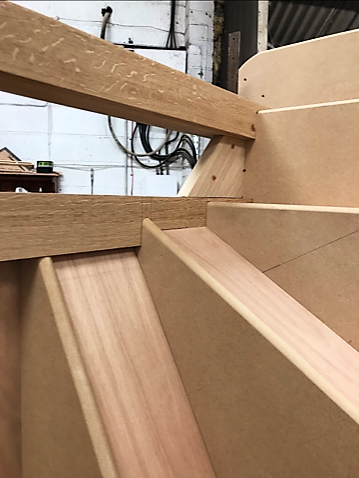 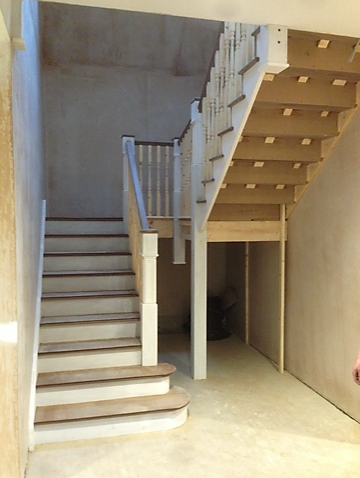 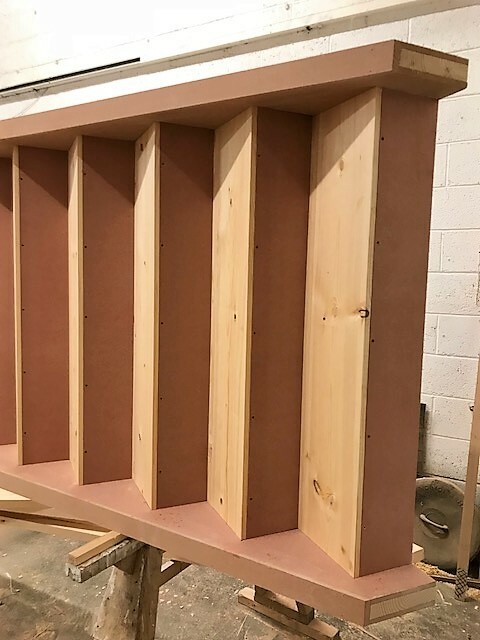 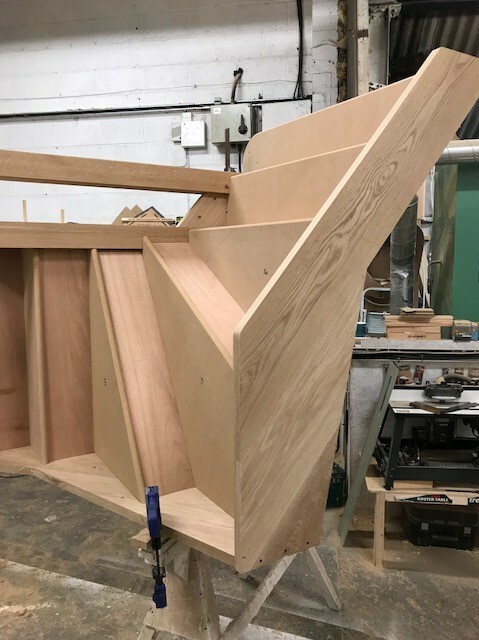 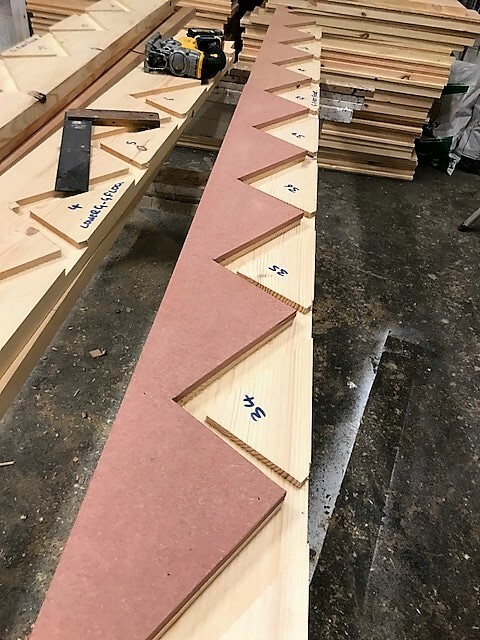 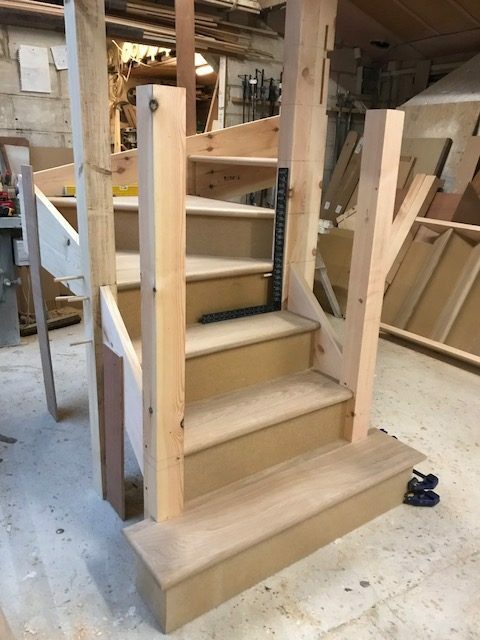 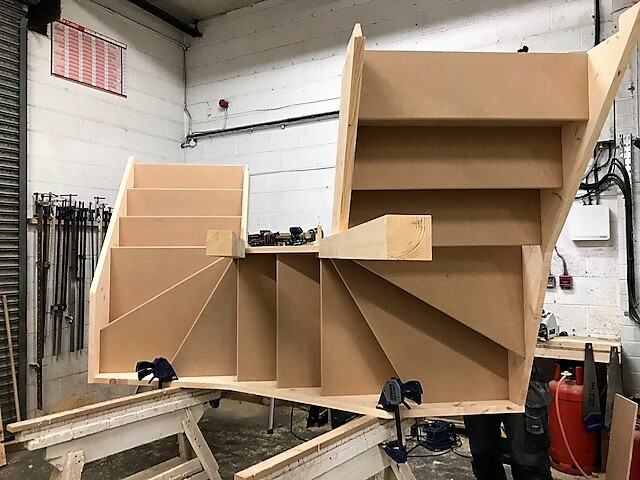 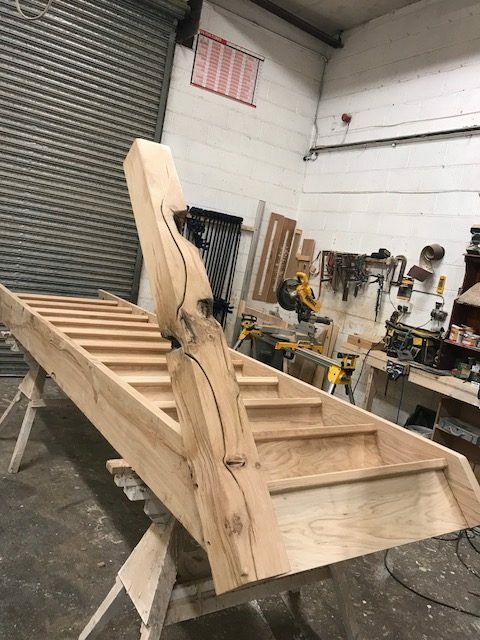 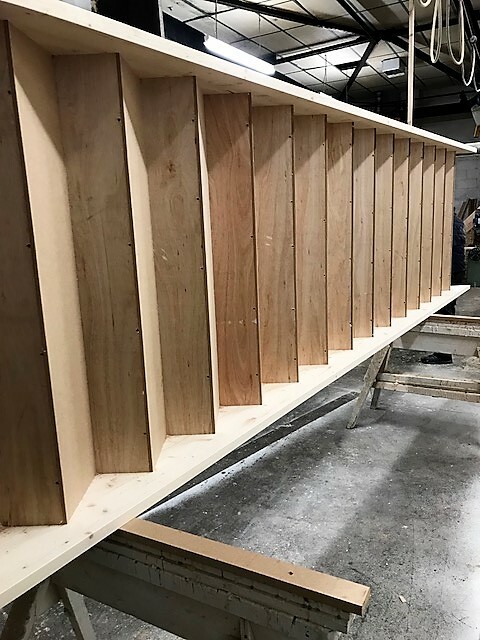 As with all our products our staircases can be manufactured in any choice of available timber and customised to a customers exact requirements. 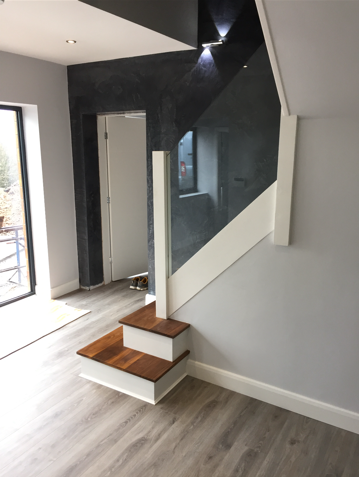 Please view our picture galleries below. 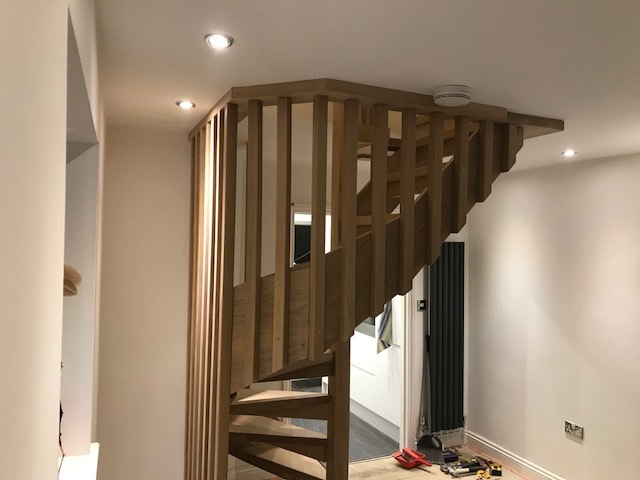 We hope you like our work! 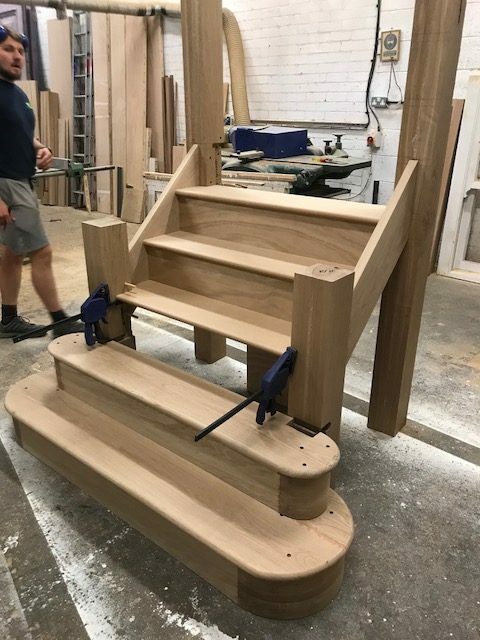 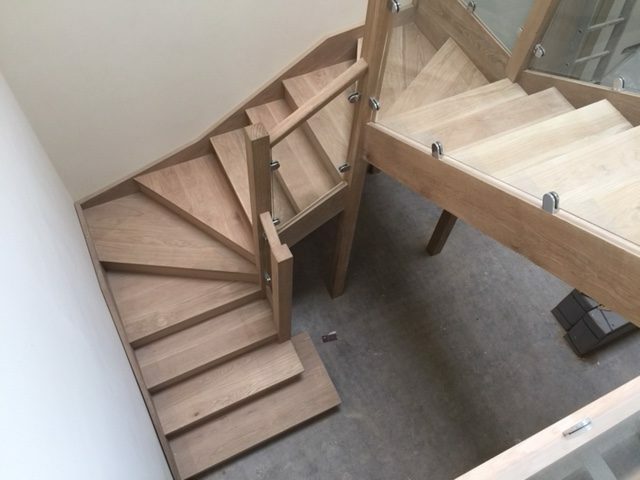 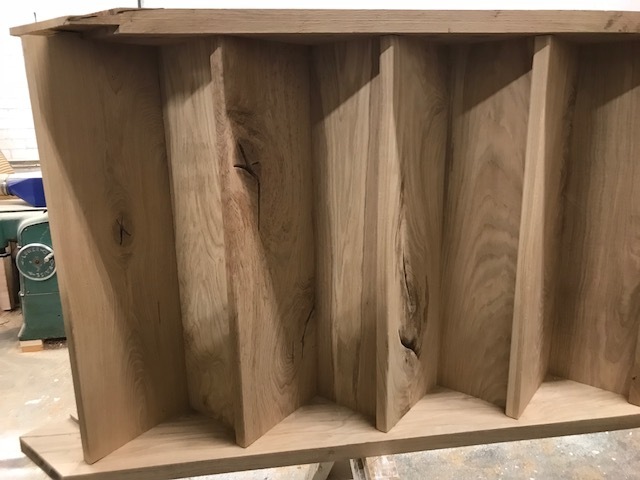 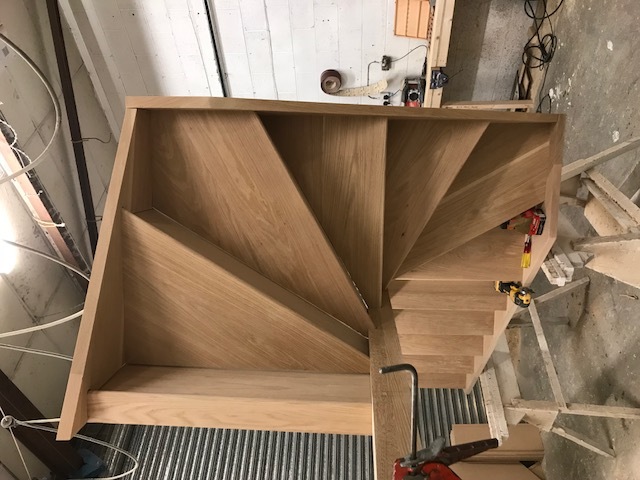 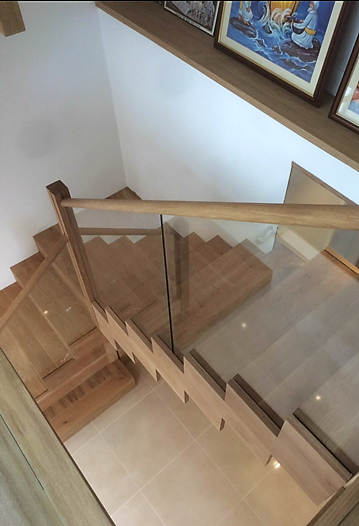 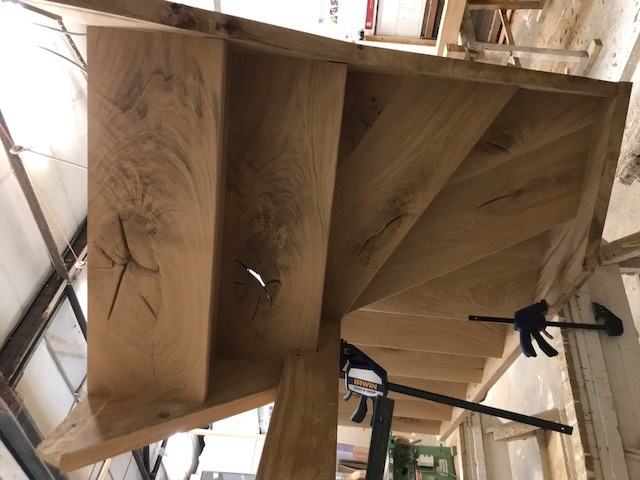 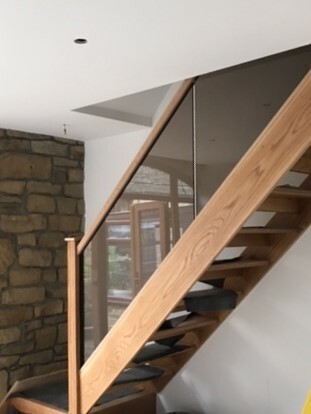 Oak is the most popular choice for a timber staircase, especially if the natural wood is going to be on display, rather than painted or carpeted. 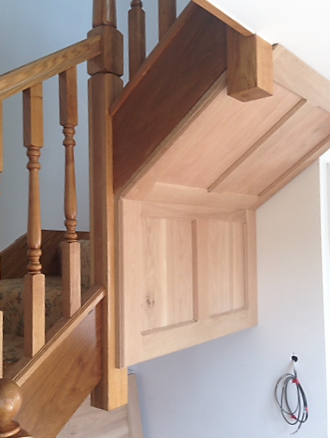 Other choices of timber can be selected if desired. 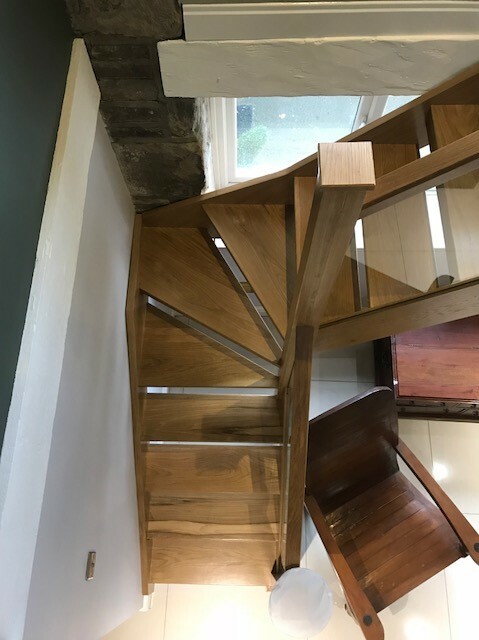 “Kite winder” is the name used to describe a winding staircase that features a kite shaped step in the bend of the stairs. 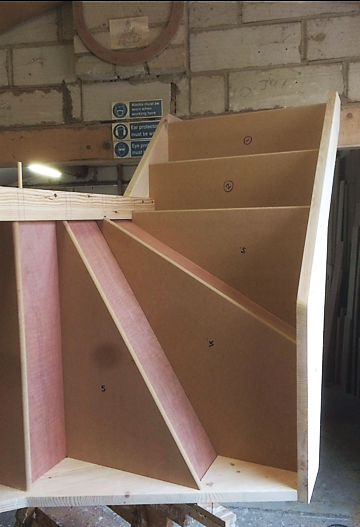 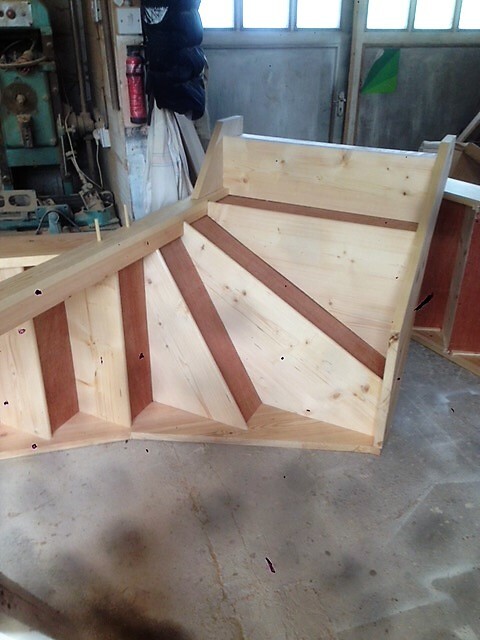 Our standard kite winder staircases feature a more economical use of timber, utilising MDF board for the risers and stairs. 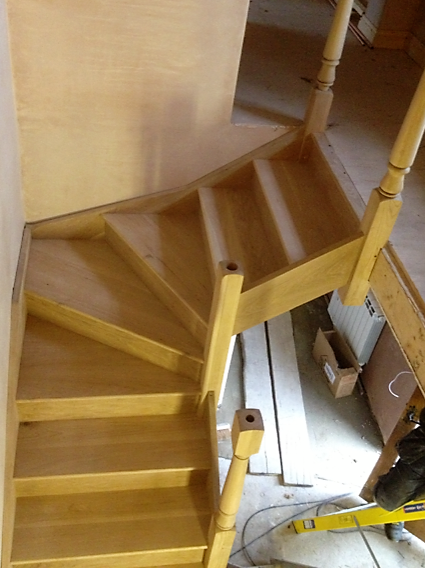 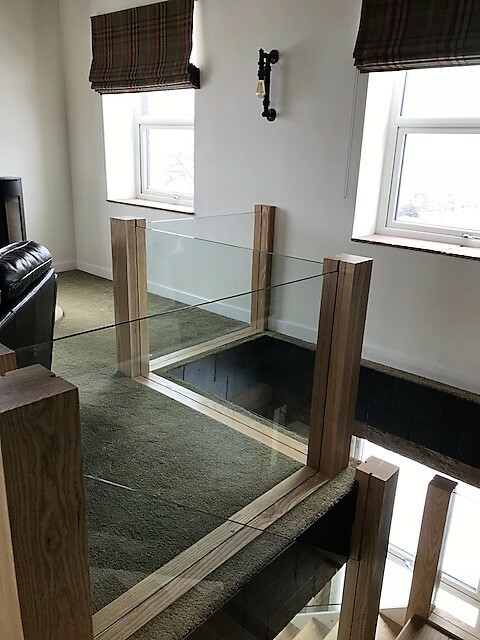 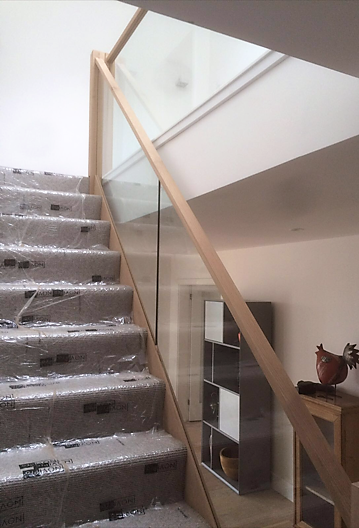 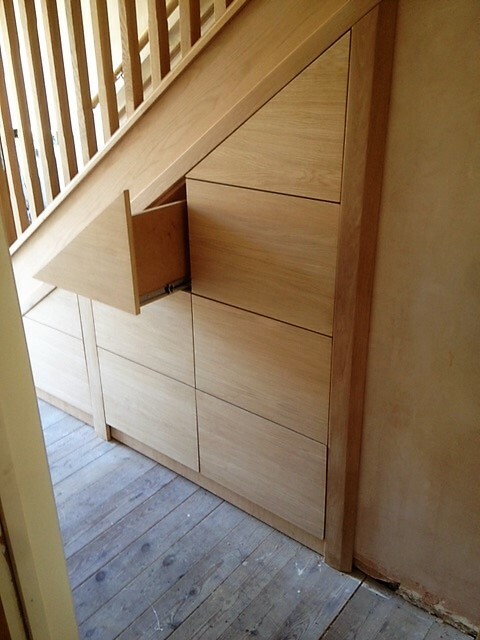 This is cost effective and practical if the staircase is intended to be fully carpeted. 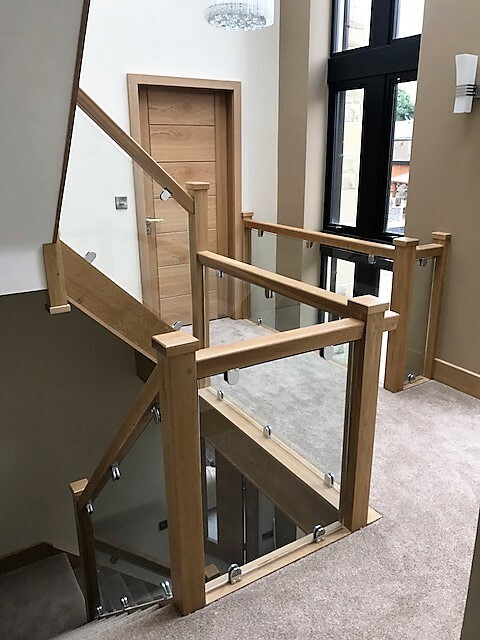 If you’re looking seeking a more contemporary appearance to your stairs and landing, here are a few examples of custom staircases and bannisters we have built for customers. 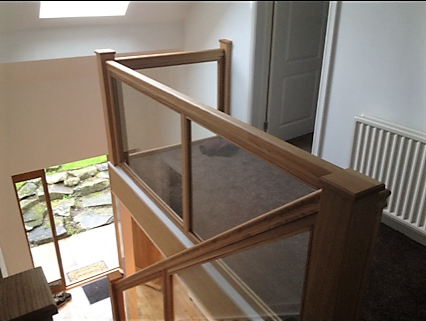 We also carry out commercial builds for offices and businesses as shown in a few examples here. 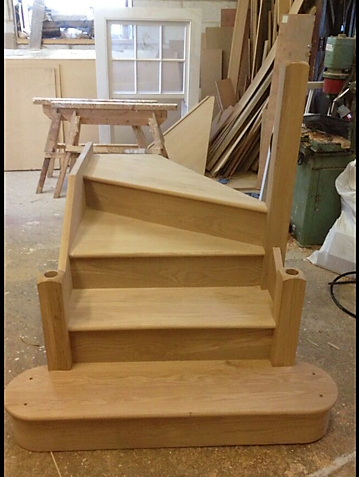 We take pride in our recreations of traditional and period staircases. 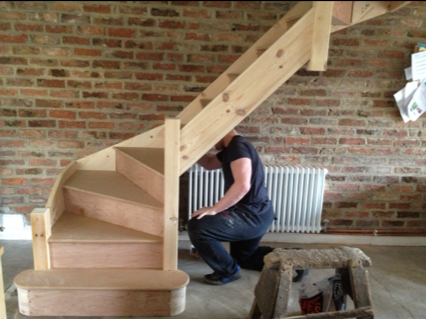 Contact us to discuss any special requirements.